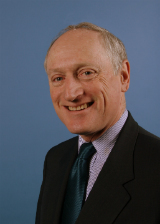 EPI executive board member Paul Booth has been and continues to be a tireless advocate for American working people, and, in fact, for working people all over the world. Even though he is stepping down from his day job at AFSCME, we trust that Paul’s long career of union organizing and advocating for workers and social justice is far from over. As a trusted advisor to EPI, Paul has served an important role—often encouraging us to take risks and see the long-game. He never stops pushing to make us more effective, to work harder, to make a bigger difference in the world and in the lives of the America’s working families. Paul’s own life is an example to us all. He was an activist and leader in the early student movement against the Vietnam War. In 1965, he helped organize the first anti-Vietnam War march on Washington, DC. He was an activist against apartheid in South Africa and fought for disinvestment. His first job in a half century of working in the labor movement was research director for the United Packinghouse Workers. In 1970, Booth worked with Saul Alinsky to form Chicago’s Citizens Action Program, which succeeded in reducing toxic air pollution from steel plants and other factories. Paul joined the American Federation of State, County, and Municipal Employees in 1974 as the International union representative for Illinois and helped the union organize state employees there, a campaign that led to the founding of AFSCME Council 31. In 1988, Booth became AFSCME’s organizing director, where he laid the foundation for AFSCME’s representation of nurses and correction workers, helping grow the union into a 1.6 million-member giant. Booth was eventually appointed assistant, and later executive assistant to the president, helping guide the union through almost three decades of struggle and bargaining successes. He also served as AFSCME’s liaison to the rest of the American labor movement. Paul has been a tremendous friend of EPI since our earliest days. He has served on EPI’s executive committee since it was created, helping steer EPI’s work, connect us to the broader movement, and sharpen our focus on the key challenges facing working Americans. We have valued his wisdom and advice, his networking on EPI’s behalf, his unfailing good cheer and his friendship. Paul Booth is a great American and a mensch. EPI has been very lucky to have benefitted from his experience, energy and passion.